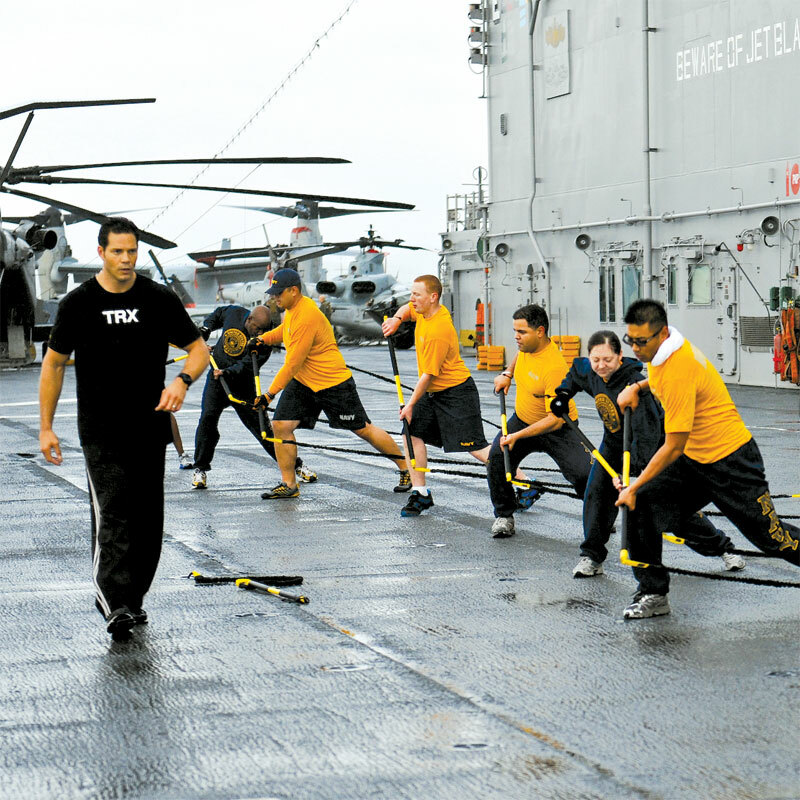 The TRX ® Rip Trainer was originally created to meet the needs of combat sport athletes and physical therapists. 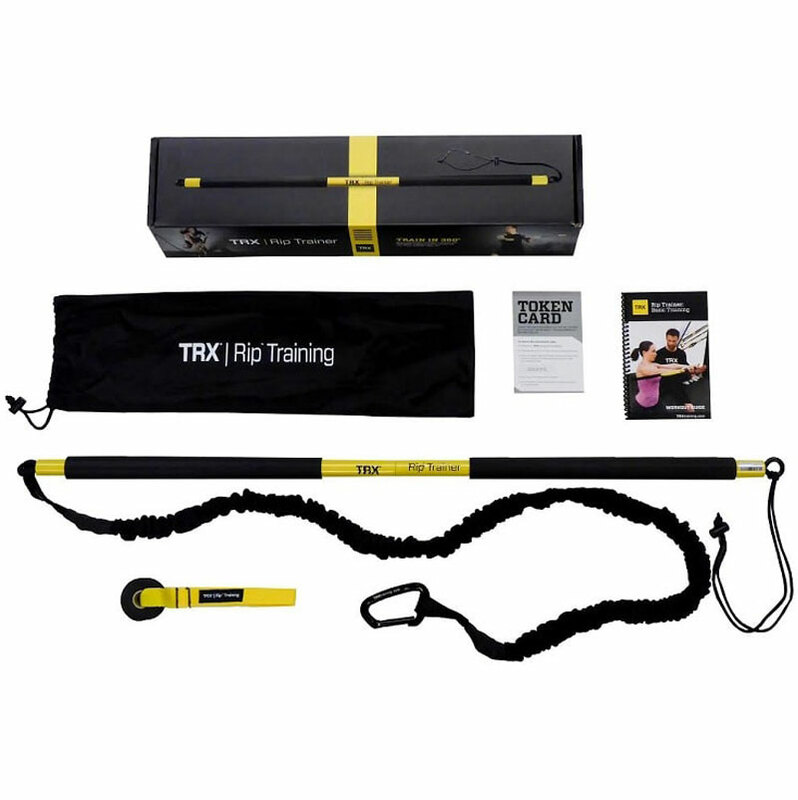 The Rip Trainer provides a unique mix of rotational resistance, core stability, and coordination training. Its innovative lever bar and resistance cord system creates a variable, asymmetric load, ideal for training balance, explosive power, or adding a high-intensity metabolic challenge to your workouts. The Rip Trainer is scaleable to all levels of fitness, easily portable and can be used virtually anywhere by attaching it to any secure anchor point. Build 3-D strength because life comes at you from all angles. Challenges core and stabilizer muscles for better balance and rotational power. 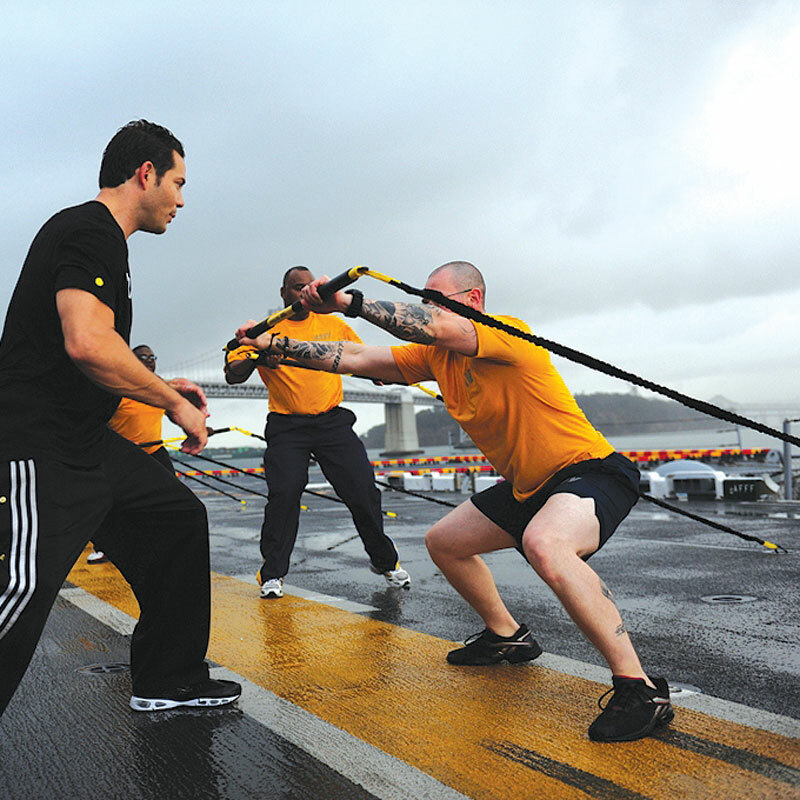 Offers variable resistance for all fitness levels. Provides an efficient full-body workout. Delivers hundreds of sport-specific exercises. Collapsible design for complete portability. High grade steel construction, weighs less than 5lbs. Attaches in seconds to any secure anchor point. Medium resistance cord with protective nylon cover. 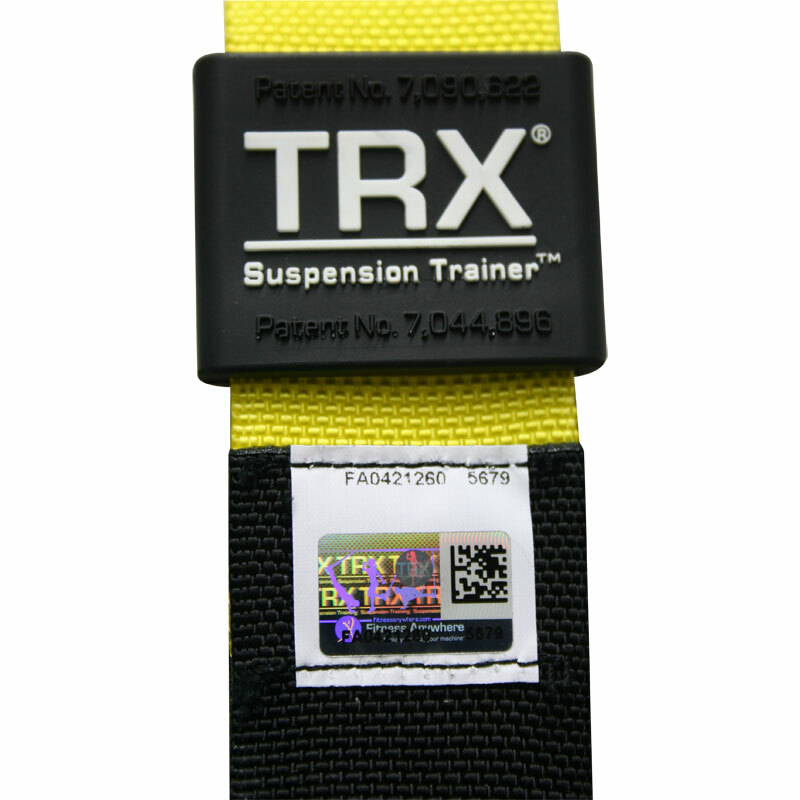 TRX® Rip Training Spare Resistance Cords available in Light, Medium and Heavy.